Complete installation. WARNING: This will wipe out your pre-installed Mac OSX copy on the system. Update (20130825): The “lab” has now been augmented with a 2nd Mac Mini (late 2012) and an upgrade to XenServer 6.2. Update (20131105): XenServer 6.2 also works on Mac Mini bare metal. However, since XenServer does not do nested virtualiaation, I have since replaced XenServer with the VMware ESXi (the free version) on all the Mac Minis. 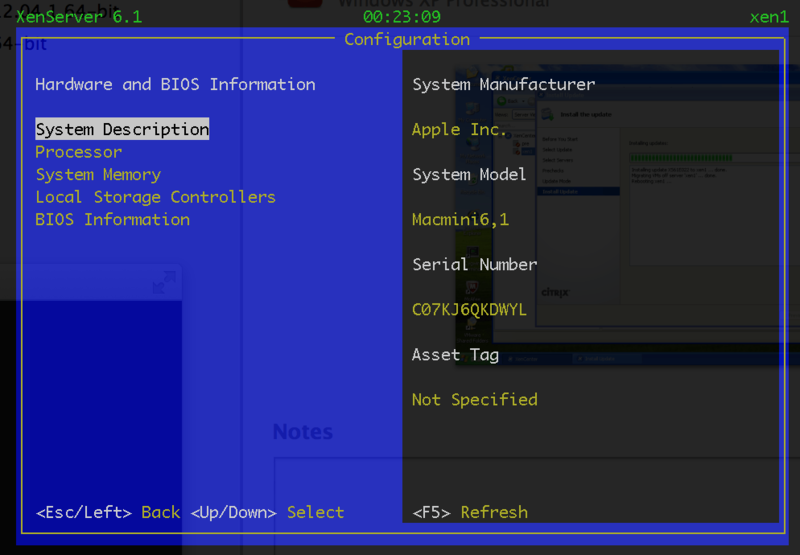 Now, I am able to run XenServer inside ESXi and have guest OSes with full PV support.